Our team of professional designers and installers will create the basement you’ve always wanted by transforming your previously unfinished basement into a usable and comfortable living area. You can increase the value of your home, reduce your energy consumption, and expand your usable living space. For only $9,999, our design-build team can provide you with a completely remodeled basement – up to 800 square feet. Our basic basement finishing package includes an initial in-home consultation, measurements, design, and installation services. We will supply and install flooring of your choice, provide plumbing services, and install windows, egress, and exterior basement doors as part of your project at an additional cost. And, you can be confident in our installation specialists, as we only staff experienced electricians and plumbers that are licensed and insured. 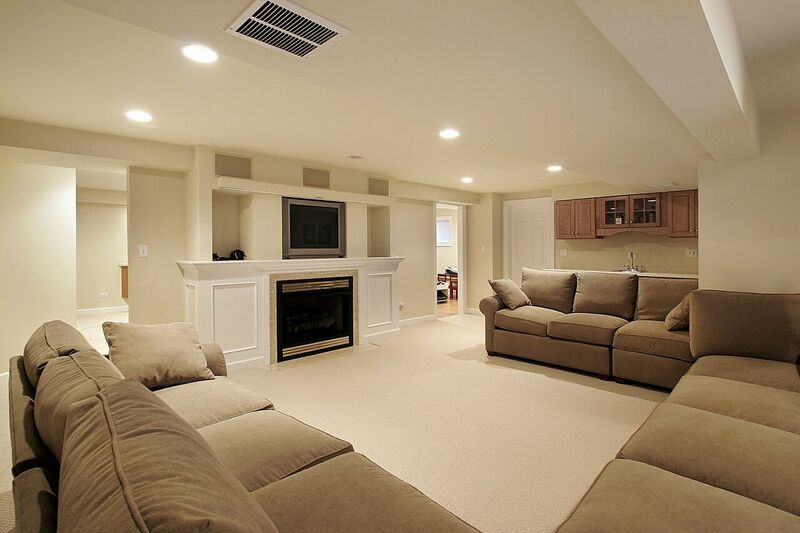 We provide options and upgrades to customize your basement finishing project. Our experienced team of professional designers and installers can turn the lower level of your home into the ultimate entertainment experience. If you’re in the planning stage of your basement finishing project, get ideas from our portfolio of completed basement remodeling projects. Our attitude and approach to each basement finishing project has earned us industry awards, and our customers continue to recommend us to family and friends. But, you don’t have to take our word for it – instead, we let our customers speak for us – look at what they are saying.